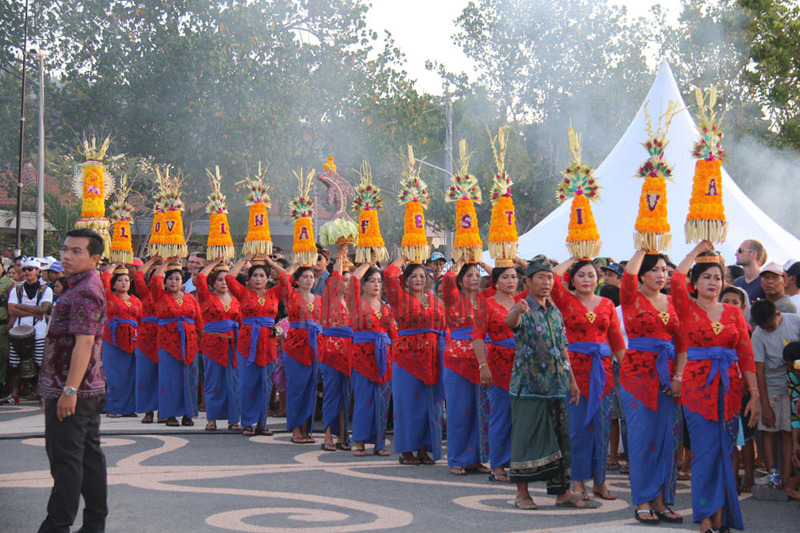 Buleleng festival is the event that celebrates when the anniversary of Singaraja city. 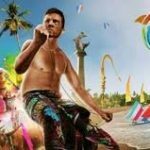 The anniversary of Singaraja city is on 30th of March. 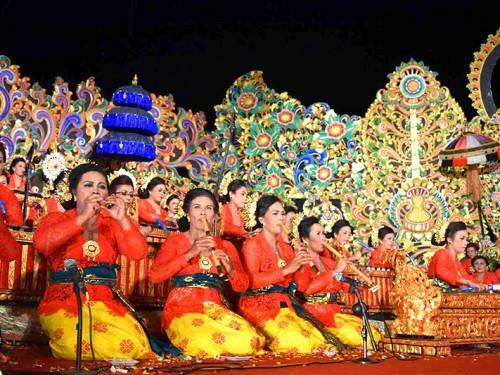 That’s why Buleleng Festival became a routine festival to enliven the celebration of Singaraja anniversary. 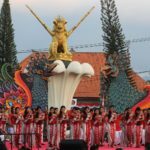 Buleleng Festival celebrated with a different theme in every year. 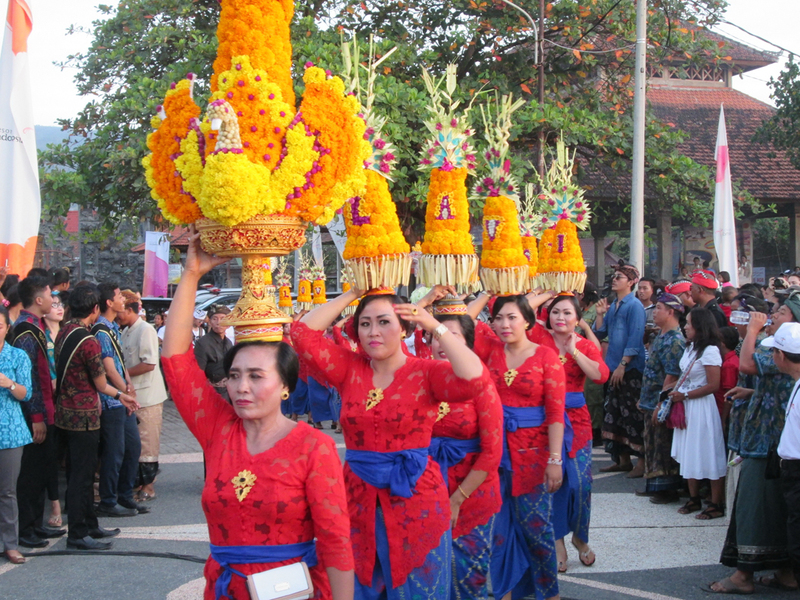 Buleleng Festival can be used as part of promotions to introduce the region. 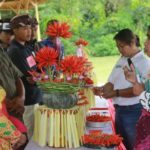 The purpose of celebrating this festival is because a festival is an important thing to build, empower, and strengthen the recognition of a cultural identity. 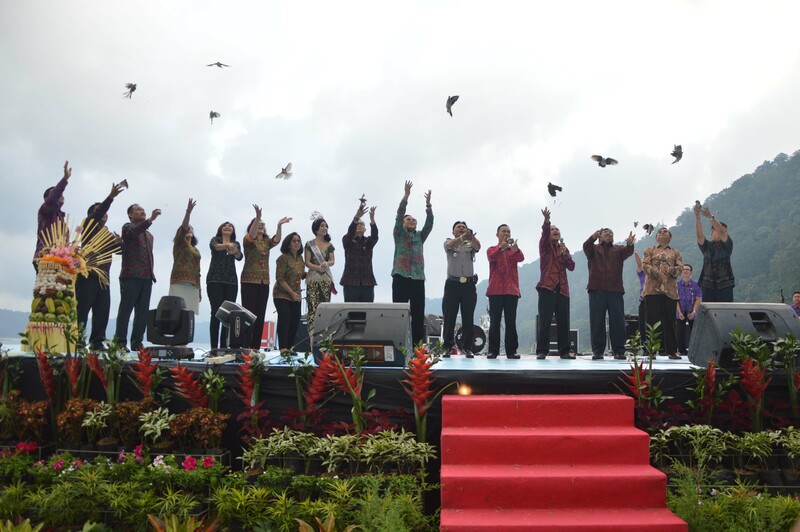 The purpose of Buleleng Festival (Bulfest) is also inseparable from the exposure. 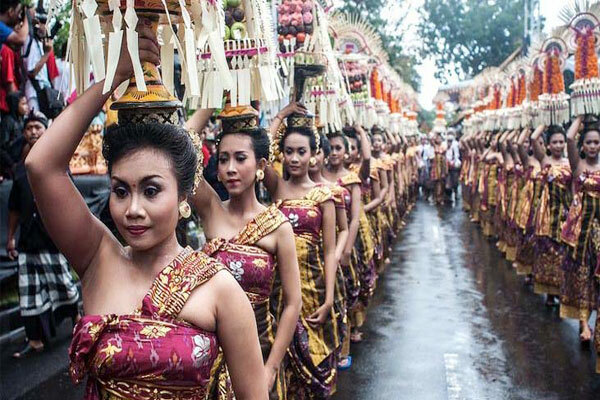 It is an effort to preserve Buleleng cultures. 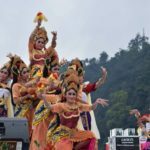 Buleleng Festival as a festival of art and culture, as well as a medium of communication, is one important means that can be used as a medium of cultural preservation. 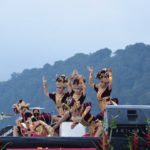 As a cultural event, festivals have colorful variations of various aspects of dynamics, such as the aesthetics it contains, the various signs and meanings inherent, the “roots” of history and the involvement of the original speakers/creators. 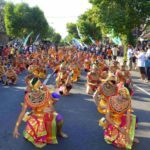 This Folklore is an annual agenda that is held regularly every year aiming to showcase the various potentials of North Balinese culture and various types of culinary typical of Buleleng. 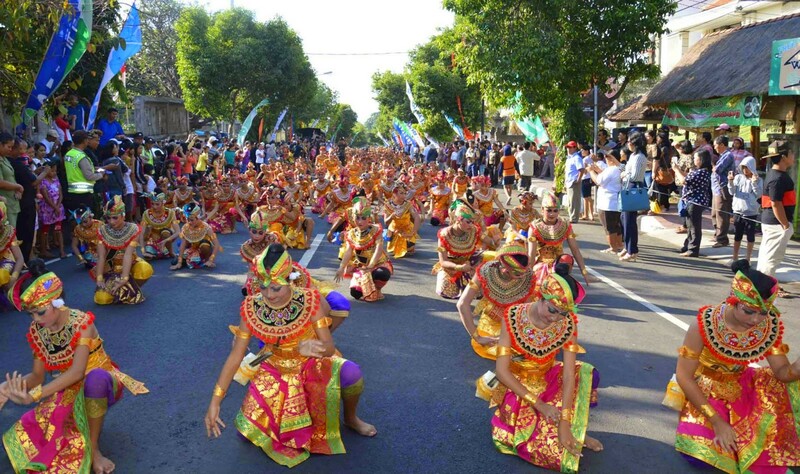 The celebration of Buleleng Festival, there will be a lot of performance that will show on. 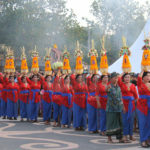 Such as Bondres (Balinese comedy), and the music, culinary stand, dances (both of traditional and modern dances), and other performances. 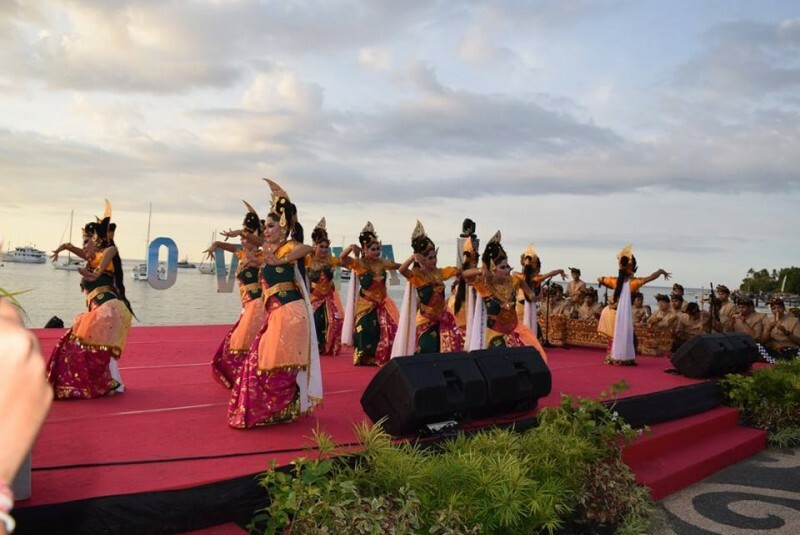 Lovina Festival is an annual festival that celebrated to introduce the beauty of Lovina into the world. 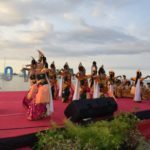 Lovina Festival supported by tourism components in Buleleng as an effort to raise the tourism industry in Buleleng, especially in Lovina, as an icon of North Bali tourism. 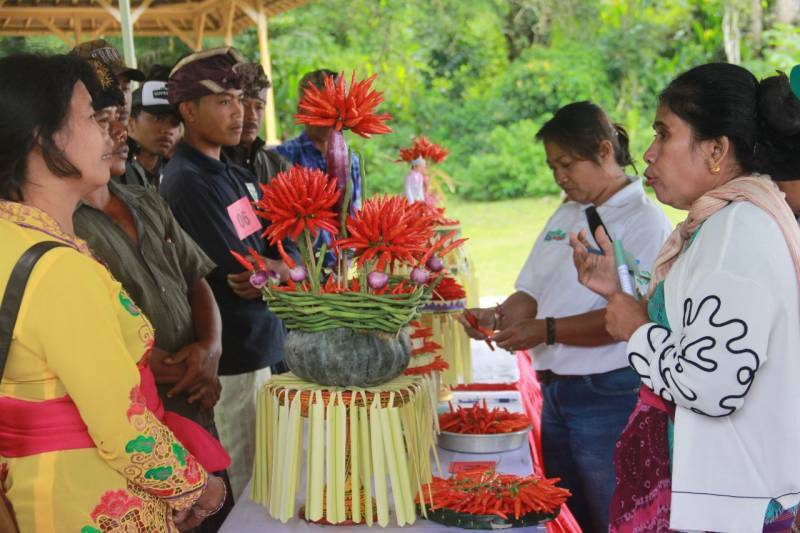 Lovina Festival celebrates by the beach in the surrounding Kalibukbuk and Kaliasem Villages. 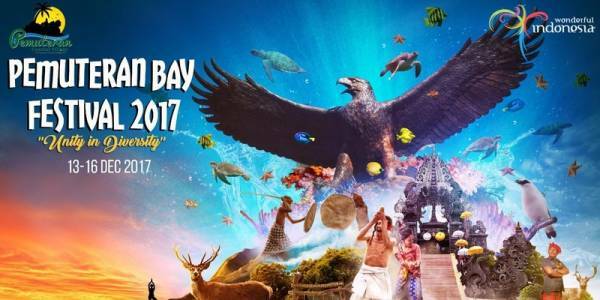 With its sparkling black sand beach and magical sunset, the festival blends North Bali’s natural beauty with creative entertainment. 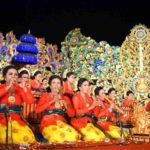 Balinese marching band, Gong Kebyar performance, Ki Barak Panji Sakti Dance, and other entertainments are ready to bring out the best in you. At night, one can enjoy vibrant and colorful fireworks, celebrating Bali’s future generations. 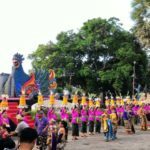 North Bali has various advantages in the concept of culture and tourism as well as there are so many tourist destinations that still need to echo continuously. 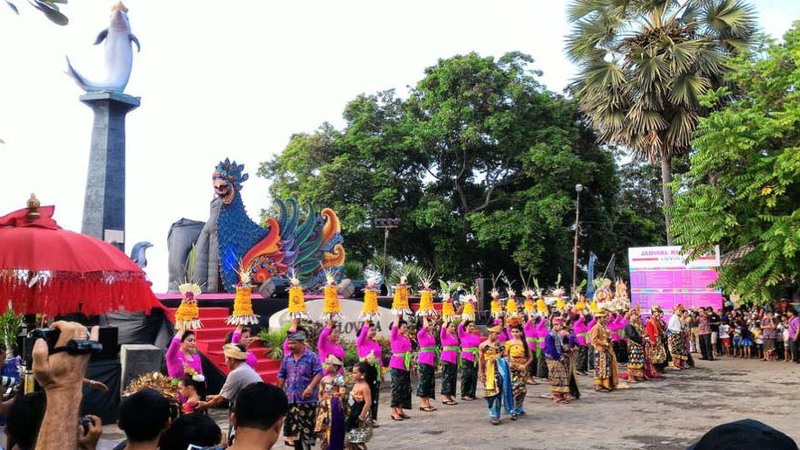 Not only that, related to the participation of artists and cultureless, it has always been providing space to create and work in various artistic appearances and Lovina Festival be containers to artists in Lovina’s to perform at Lovina Festival which is a tourism promotion activity in Buleleng. 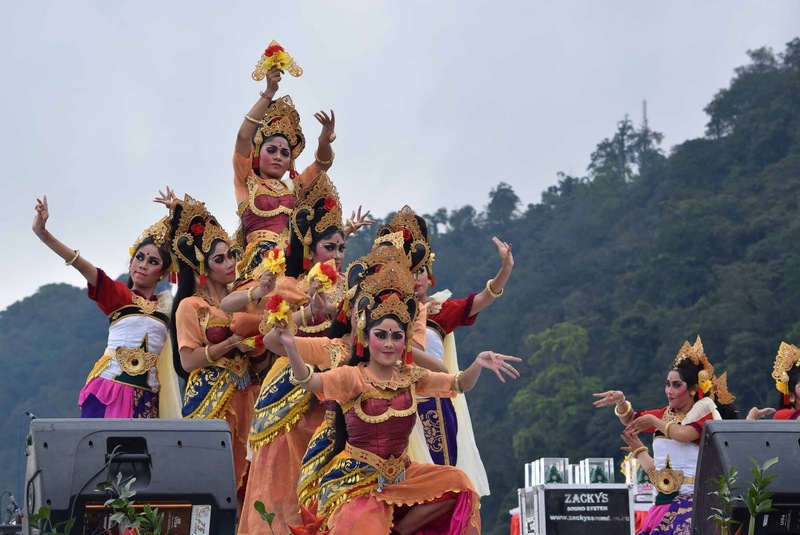 Twin Lake Festival is the event that celebrates to introduce the tourism object of Buyan Lake and Tamblingan Lake that featuring a variety of cultural attractions and traditional sports. 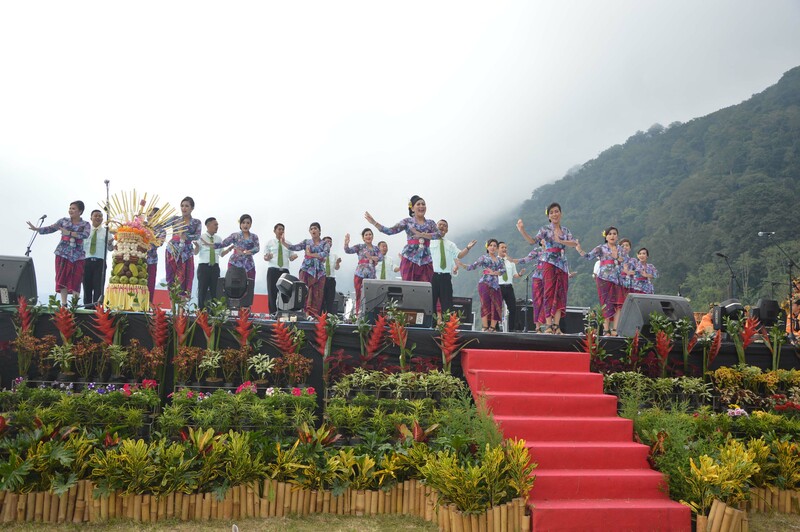 As well as featuring a variety of potentials ranging from agriculture, fisheries to environmental activities. 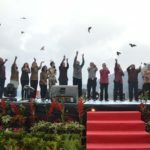 This festival besides as a venue for the creativity of the various potentials in it, which is no less important is to introduce two lakes, Buyan and Tamblingan as vital areas, especially regarding the conservation of water resources in two districts, Tabanan and Buleleng. 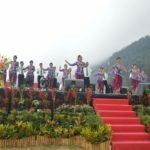 Through the Twin Lake Festival, expect that people to come together to preserve these two lakes – because it is so important, especially as a buffer and catchment area for the surrounding area. 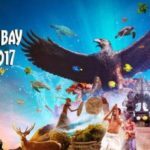 Twin Lake festival usually celebrates around Juni, July or August in the Pancasari Village, Sukasada District, Buleleng regency. 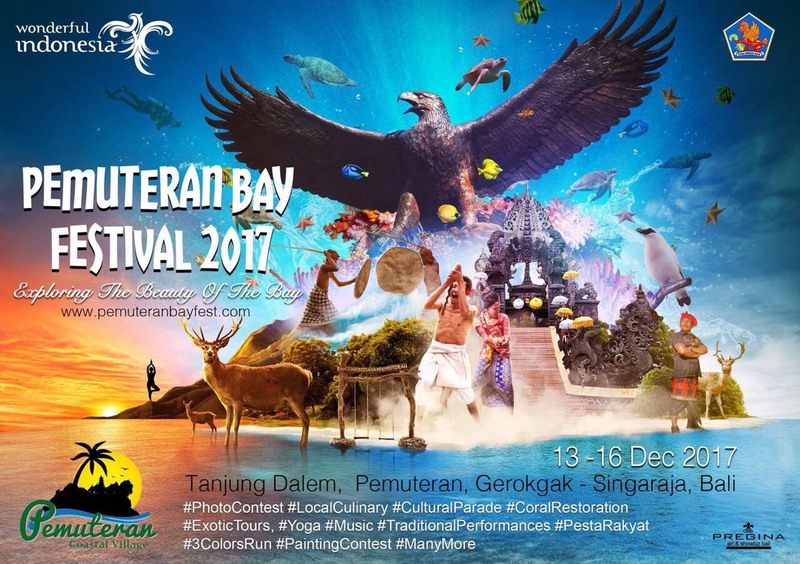 Pemuteran Bay Festival is annual art cultural celebrations dedicated to an award-winning fisherman in Pemuteran village at the Northwest Bali. The lineup activity of the events is not like any other. 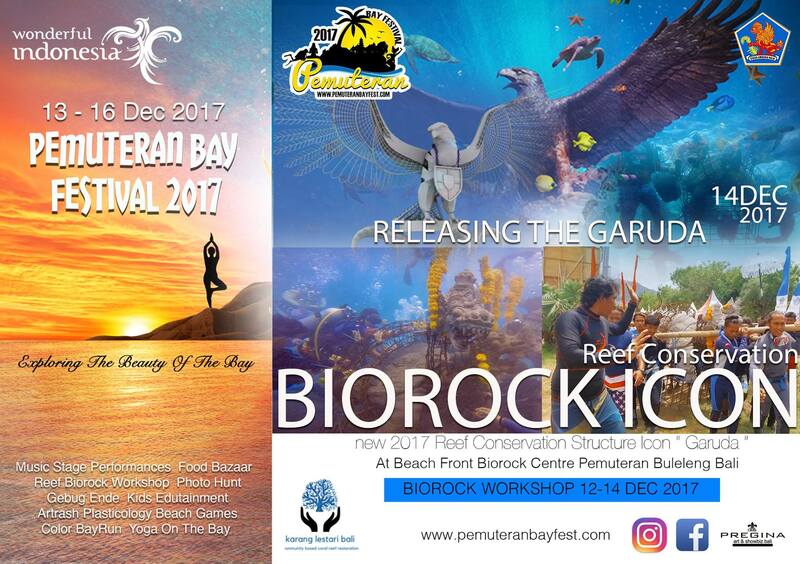 Pemuteran Bay Festival exposes the natural beauty of Underwater Reef Conservation Act Workshop, illustrates the importance of health in yoga and spiritual exercises promote culinary traditional in a food carnival and present many art performances. 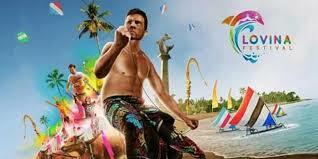 With majestic mountaintops, beach paradise, and good companions, you’ll have a glimpse of heaven on the island of Gods. 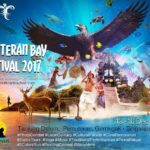 Pemuteran Bay Festival is a development event of the Buleleng Bali Dive Festival (BBDF) which previously was held every year in this village. 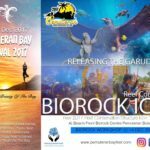 The mascot of Pemuteran Bay Festival is Garuda which is displayed in the form of two works of Garuda statue with a combination of an iron replica which will be drowned as a conservation mascot of coral reef structure with bio-rock technology. 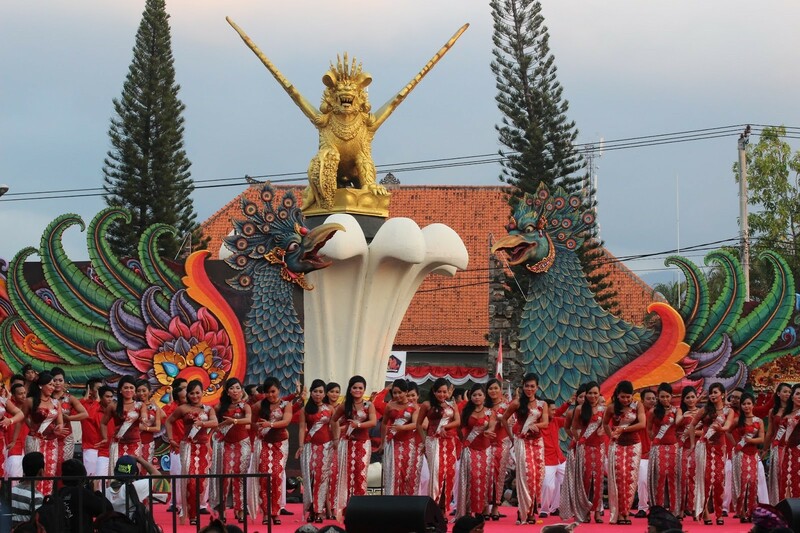 The Garuda Mascot was chosen because the Garuda is the holy vehicle of Lord Vishnu as the God of the Sea (Baruna) and the Hindus believe that. 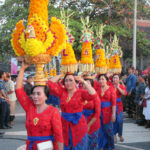 Garuda is also a symbol of the State of Indonesia. 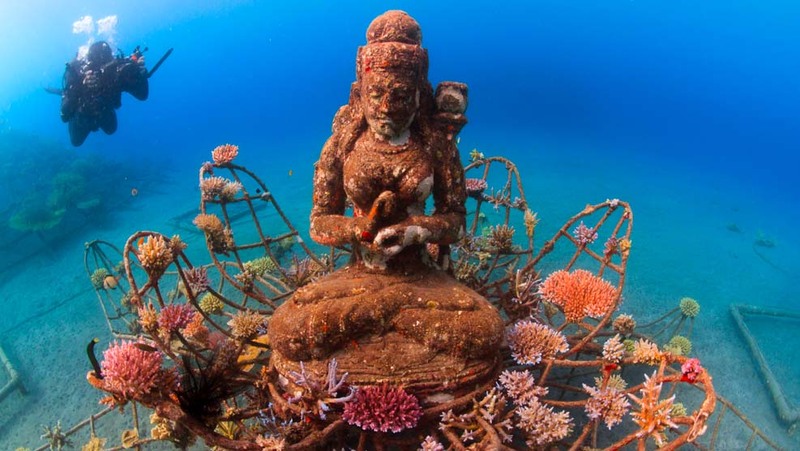 The installation process of the Garuda involves more than 50 divers within the community. 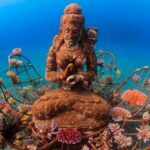 Until now those are more than 77 coral reef structures that already exist under Pemuteran Sea.